11-month-old Willow is the first child born to Natalie and James Crowe of McDonough, GA. They were so excited to welcome a baby into their family and could not have felt more blessed. Nine months ago, Willow’s mom noticed several bumps pop up on her back and belly which their Pediatrician thought were hormone bumps or possibly a heat rash. Willow was prescribed steroid cream, but after no change, they returned back to the pediatrician’s office, only to be diagnosed with eczema. After trying a different steroid cream with no real results, their doctor gave them a referral to be seen by a pediatric dermatologist. Willow was seen by two different dermatologists who both claimed her symptoms to be eczema related. To get a more accurate diagnosis, a biopsy was done of the main rash on Willow's back, but the results still pointed to eczema. Willow visited many different pediatric dermatologists and tried all their suggestions. After countless creams and lotions, bath washes, laundry detergent, steroid creams, EXTENSIVE diets for Natalie who was breastfeeding, and for Willow, there was still NO noticeable change. Willow continued to suffer as the rash on her back had become increasingly irritated and painful. She was put on two new medications that finally offered some relief but did not clear up the rash. She was also placed on an oral steroid that helped clear the rash on her back, but the bright red bumps in her groin area did not improve. At Willow’s next dermatologist appointment, her doctor asked for the bumps on her groin to be biopsied. The Crowes got the call with the results. It was Langerhans Cell Histiocytosis (LCH). Langerhans Cell Histiocytosis (LCH) is a disorder in which the body makes too many dendritic cells. These cells play a role in the body’s immune system. Langerhans cells are a form of dendritic cell, or histiocyte, which is mostly found in the skin, lungs, stomach and intestines. In LCH, these cells build up in various tissues and cause damage. LCH is not a cancer, but it shares similarities to some cancers and often requires treatment with chemotherapy. LCH most commonly affects the skin and bones, but it can involve any organ in the body including lymph nodes, lungs, liver, spleen, bone marrow or brain. The exact cause of LCH in children is unknown. After much research and many phone calls back and forth with the dermatologist, Natalie began to have a clearer understanding of what Willow’s diagnosis was, but had no clue of the magnitude of the journey ahead. Their next steps included an entire body X-ray (included 26 different X-rays), and a very thorough Chest X-ray, as well as an ultrasound of the abdomen. These tests were to make sure this disease was only affecting her skin, which is the best case scenario. They were referred to a pediatric oncologist who went through a thorough physical examination and explained LCH in a little more depth. He also claimed that the disease was only affecting her skin. He said there was a VERY slim chance it could travel elsewhere affecting her bones and major organs, but he personally had never seen that happen. One average day post-diagnosis, Natalie noticed Willow pulling at her ears, and made an appointment to get them checked out. The pediatrician explained that they looked good, she just had some drainage, but they found that her lymph nodes were swollen and she had a raised knot on the back of her head. They immediately followed up with the oncologist who ordered the same tests as before, as well as a CT Scan to see if the lymph nodes and the knot on her head were, in fact, the LCH. Sadly, the results showed that the swollen lymph nodes were LCH and that Willow had two bone lesions in the back of her head. She also had blood work done to check the liver, which came back fine, but they did find out her hemoglobin was low. The oncologist explained that chemotherapy was the best option to treat Willow’s LCH which again left her parents stunned. They were heartbroken. As they prepped for Willow’s port placement surgery, they tried all kinds of home remedies to try to bring her hemoglobin levels up. They traveled the day before surgery to Atlanta for pre-op testing, but the anesthesiologist was not comfortable with Willow’s hemoglobin number so she received a blood transfusion. The next day, her port was placed, a bone marrow test was done, and Willow received her first chemo treatment. This marked the beginning of a frightening journey the Crowes never dreamed they would travel. Willow has now completed six weeks of chemo and had a CT scan as well as a repeat bone marrow test. Neither one came back clear, but her doctors have seen some progress. She is currently repeating another six weeks of chemo followed by a course of strong oral steroids. Then Willow's doctors will repeat the same tests to see if there has been more progression. The Crowes have opted to go into a study to better determine Willow’s treatment plan. They are hoping for clear scans or marked improvement. If Willow’s scans are clear she may not have to repeat another six weeks of chemo, but if not, she may be switched to a stronger dose. Willow’s treatment will be long, possibly upwards of two years of chemotherapy depending on her scans, but it is the best chance her doctors have to put her LCH into remission. Natalie is currently staying at home to be with Willow as treating her LCH is truly a full-time job. James works full time as an operations manager, but over the past 11 months, he has had to miss many days of work due to Willows doctor appointments. They do have insurance, but the coverage is very slim until the high deductible is met... in-network $6,000 and out-of-network $7,350. They also have travel expenses from McDonough to Atlanta as well as prescription co-pays and other medical bills not covered. They are in the application process for a Katie Becket Waver but it takes time to be approved. 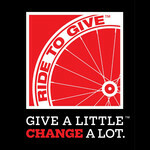 Ride to Give understands how stressful this and is stepping up to support the Crowes by raising funds for their 2019 deductible and travel expenses to and from Atlanta. This financial peace of mind will allow them to focus on Willow rather than worrying about how her medical bills will be paid. Please make your tax-deductible donation to Ride to Give in support of this sweet baby girl. You may follow Willow's journey by liking Willow Strong on Facebook.